Before we set out for a trip, we usually have to answer many different questions. Some of them may be as simple as whether or not to pack that blue weatherproof jacket. Others require more concentration and knowledge to give the right answer. The questions of security and reliability always spring up when we have a good mind to travel far from home. Most people tend to feel a little tense and nervous before leaving for their place of destination. It is natural to seek protection of health and travel investment. If a sudden change in plans, such as illness, accident, or other unforeseen circumstances occurs, you might have to cancel or cut short your travel plans. If you are not covered by Travel Insurance, you will face considerable financial losses, i.e. your travel investments and medical expenses not covered by your health insurance. Most of your travel concerns can be covered by Travel Insurance. Illness, disablement or injury, legal issues and accidental death, emergency evacuation, flight cancellations, departure delays, loss, theft or damage of personal possessions are the common risks covered by Travel Insurance. Some travel activities in themselves may carry high risks and lead to additional expenses. Travel Insurance companies offer protection for the adventurous engaged in sports and extreme sports. Insurance companies will adjust your Travel Insurance policy in compliance with your requests and potential risks you might face during your trip. Comprehensive Travel Medical Insurance will be helpful for people who don't have any medical insurance at home. Long-term travelers without their health coverage and citizens living and working outside their country of permanent residence should consider purchasing this type of insurance. It covers assistance in finding local medical help, emergency medical transportation, hospitalization and emergency medical and dental treatment, bringing a family member or friend to your bedside, consultation and monitoring by World Access medical staff, repatriation of remains, escorting children back to their departure point, return of vehicle, etc. Emergency Travel Medical Insurance is recommended for people whose health plan at home doesn't cover them if they travel to another country. This type of insurance covers emergency services abroad. Check your existing coverage, as most health insurance plans in the USA may include their own provisions for emergency services abroad. It is a common practice for trips of less than 30 days. Medical Evacuation Insurance is mostly for adventure travelers, cruise passengers and people who travel to enjoy their favorite sports activities, like trekking, scuba diving, etc. This insurance covers emergency evacuation to receive urgent medical treatment in the immediate medical facility or back in the United States, due to a bad physical injury or illness. Today, travelers get to very remote spots of the world and though such serious cases are seldom reported, it is easy to imagine that medical emergency evacuation back to the United States from, say, the Himalayas can cost $35,000 if an injured person is not insured. Trip Cancellation and Interruption Insurance is the most common type of Travel Insurance. This insurance type covers non-refundable payments and the cost of getting home if a trip is canceled or interrupted due to unforeseen events. Typically, it covers you, a member of your family or your companion for illness, injury, or death. Some policies may also cover reasonable accommodations for travel delays, some essential items you buy if your luggage is delayed, and lost or stolen luggage. Most policies exclude trip cancellation in the event of war or terrorism, natural disasters, tour operator's default or travel to destinations which are subject to political unrest. Supplier Default Insurance refunds deposits or payments you lose to the bankrupt airline, cruise line, tour operator or other travel provider. This type of Travel Insurance has become unpopular with many insurance companies since September 11, 2001, since the risk is considered too great for them to handle. 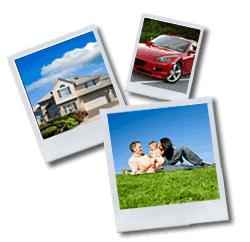 If Supplier Default Insurance is offered, you will see that insurance companies cover only certain travel suppliers. Rental Car Insurance is designed to cover damage or theft to a car that you rent as well as liability to other people you might injure or cars you might damage. Mind that your Auto Insurance coverage is in effect only in your home country, and if you are traveling overseas, find out the Auto Insurance requirements for the area you travel to.